Today I am sharing a super simple recipe that you can pull out of thin air the next time you are tired and hungry, but still want something that shows off your flair for awesome cuisine. 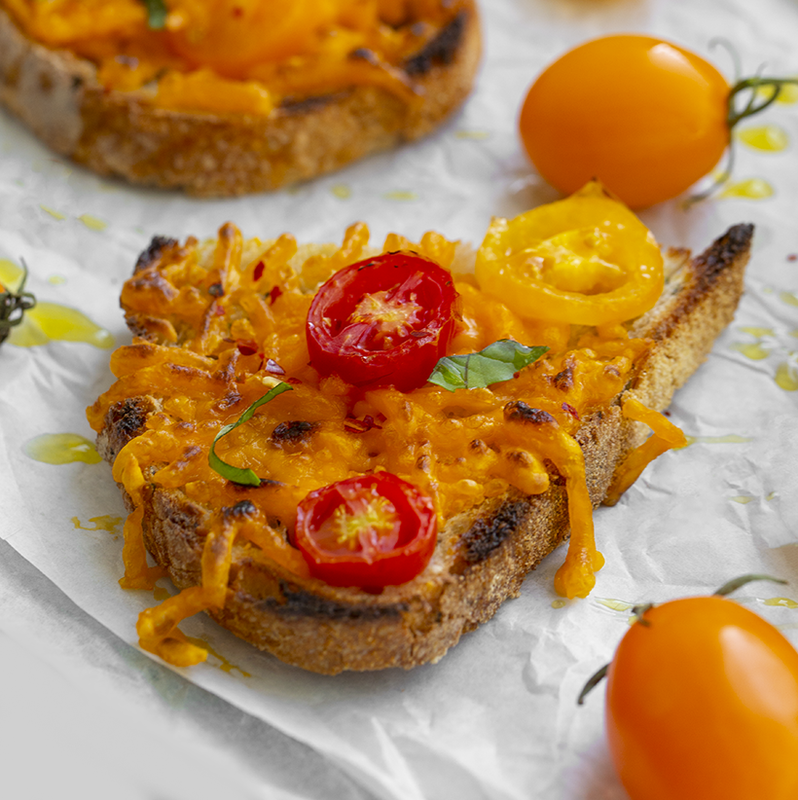 These Summer Tomato Cheese Toasts have loads of flavor and a cozy melty-cheese, crispy crust, soft bread texture that is easy to crave. And cheese. 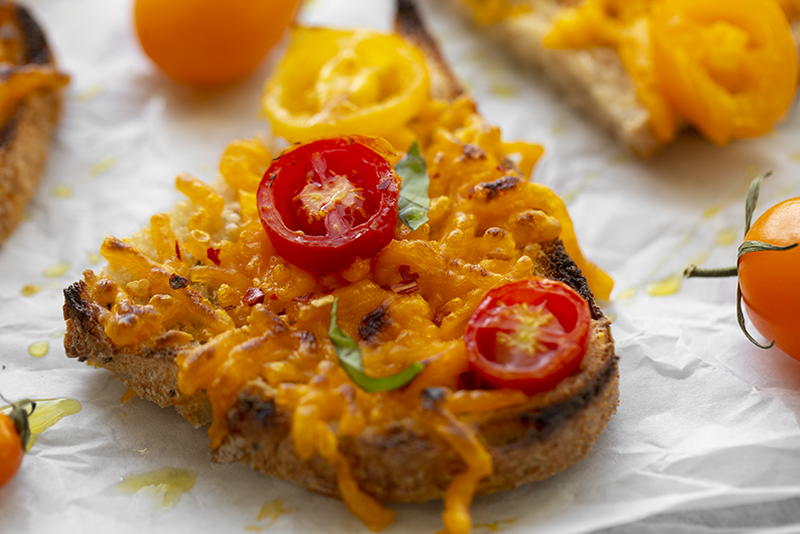 Vegan cheese shreds to make this easy. I used So Delicious's vegan cheddar shreds - the large ones, not the 'minis.' I like the way they melt and the flavor is sharp and nice. I also love Chao's cheeses and Daiya always melts very well, though not everyone loves the texture. And Follow Your Heart cheeses all have really awesome flavor. The pepper jack slices could even work well here. You could even go super fancy and use an aged cheese like Miyoko's or DrCow or Treeline. Aged cheeses won't melt, but you can warm then and spread them to achieve a similar flavor. I chat about other vegan cheese options here, in my guide. 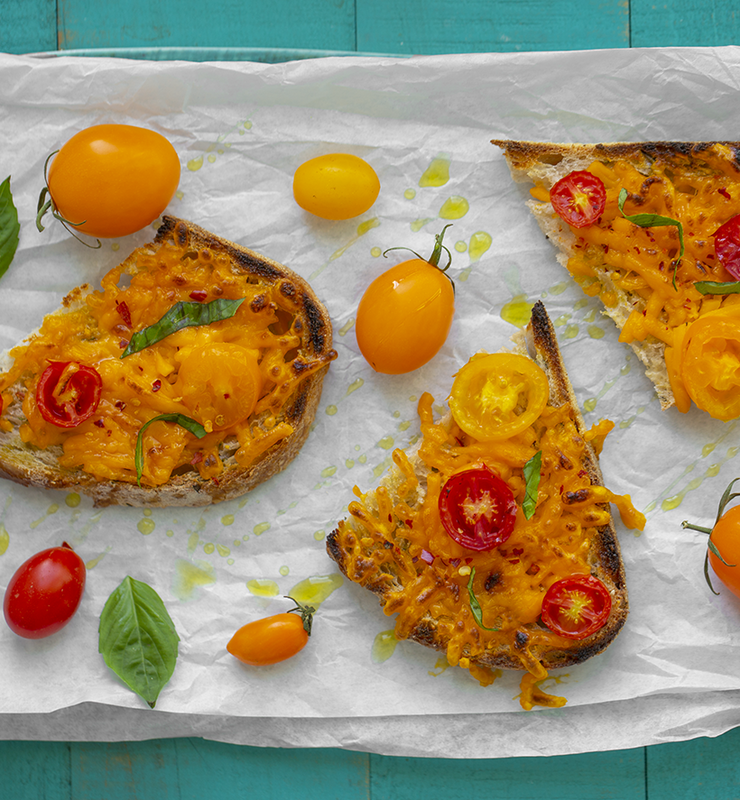 This cheese toast is my simple salute to summer. Tomatoes. Basil. Bakery bread. 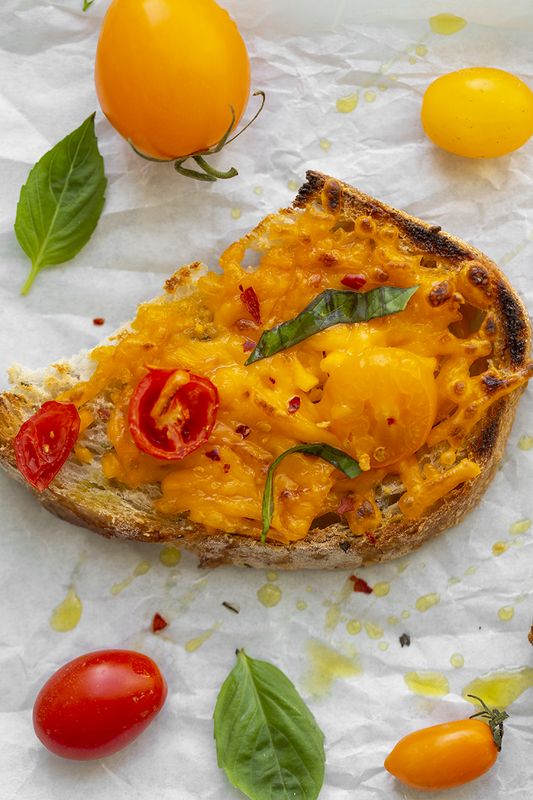 This toast would pair so well with homemade sangria or lemonade. 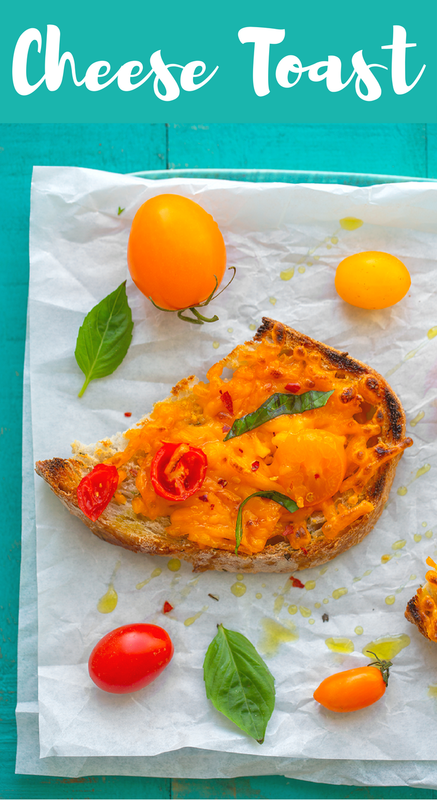 Summer tomatoes can be so good that you can absolutely eat them like you do grapes or bite into one like you do an apple. They have a bright, acidic flavor and strong grassy, tomato-vine aroma. For this recipe, I lightly 'broil' them. A few minutes in the oven doesn't quite overcook them, it just sort of softens them. 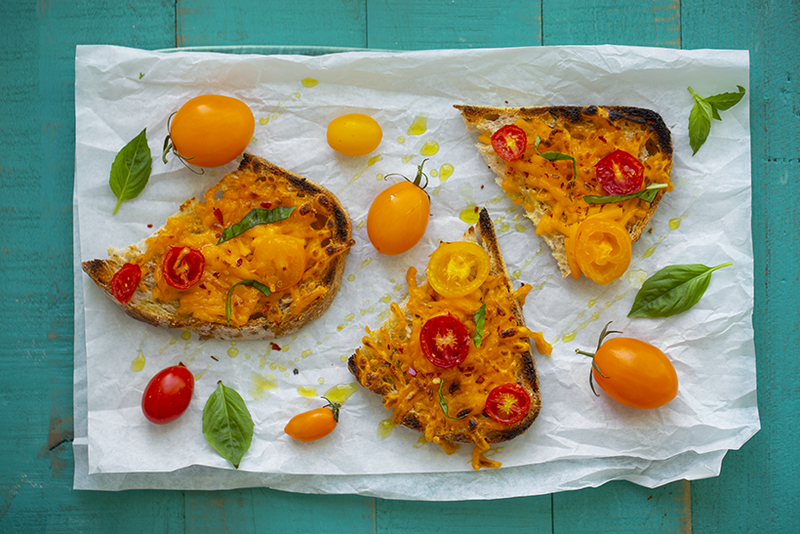 But if you want to add the sliced tomatoes - raw - after the toast has broiled to melt the cheese, go for it. Speaking of summer... 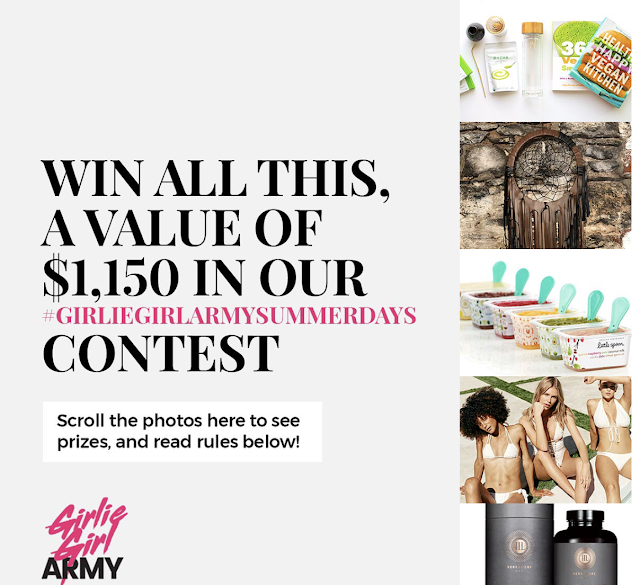 Check out this awesome summer giveaway I am participating in with a few blogger/business owner friends... GirlieGirlArmy's Summer Days contest. 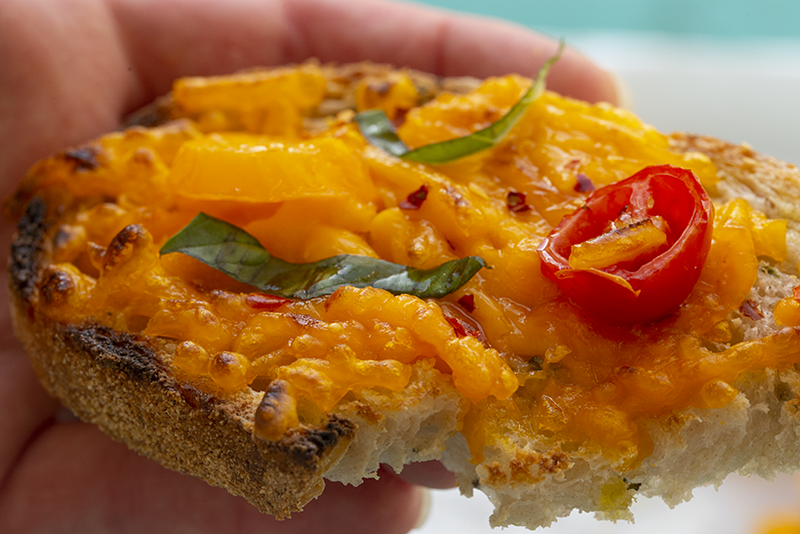 This simple and flavorful snack is a lovely addition to any party, lunch or dinner! Add any topping you'd like or stick with simple tomato and basil. Warm the oven by turning to the broil setting. Prep only takes a few minutes. Lay the bread on a lined baking sheet. Drizzle a light hand of extra virgin olive oil over top. Followed by the vegan cheese. Followed by a light layer of sliced summer tomatoes. Place the tray under the broiler for about 2-4 minutes. Watch closely so as to not burn the toast or over-cook the cheese. It should be melty and lightly browned, a bit bubbly when done. Remove from the oven and arrange on serving tray. Add the fresh basil, red pepper flakes and another drizzle of good olive oil over top. Serve warm.